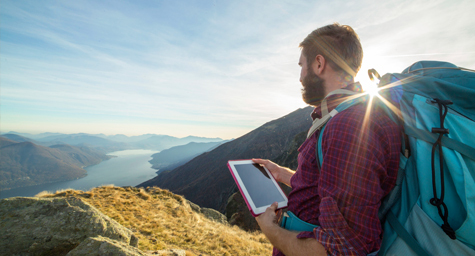 Travel marketing is undergoing a complete transformation in these digital and social times. As a result, travelers now have more control over their travel experiences, as well as more options than ever before. Just as the travel landscape has evolved, travel marketing must also be adapted to the trends and the times. iMediaConnection.com uncovered the five top travel trends that marketers need to welcome. Today, home-based lodging has become an affordable and customized alternative to large, standardized hotel stays. This trend is defined as a collaborative economy and it’s redefining travel as we know it. But hotel brands can adapt to today’s collaborative economy by adopting some of its practices in their more established properties. With the abundance of travel options today, travelers are searching for experiences that fit their personal needs. Their travel demands and desires provide important customer data that can help travel brands serve them better. So now, many savvy travel brands have started collecting this personal data to develop personalized experiences that perfectly fit each traveler. Today, most major hotel companies offer a range of specialized brands designed for different interests and lifestyles. For instance, Marriott Corporation offers 19 brands of hotels, each suiting different types of travelers and occasions, while Starwood distinguishes its 11 lines of properties by their amenities and attitudes. These distinctions allow travelers to find their ideal hotel experience. Research shows that travelers tend to compare and consider a variety of hotel brands and travel resources when making their travel plans. And they make these comparisons on multiple digital devices. This myriad of factors can make it difficult to collect consumer data and understand their personal preferences. While some travel companies are able to merge all of this consumer data, most need to rely on analytics companies that unite anonymized multichannel travel data under each customer profile for a complete view of their patterns. Travelers now have a world of companion apps at their fingertips. Companion apps are applications designed to enhance a brand experience, rather than just entertain. They have become extremely popular with travelers looking to personalize and streamline their travel experiences. And hotel brands are reaping the rewards of these apps through the personal data they collect about travelers’ demands and desires. Stay current on the latest in travel marketing. Contact MDG Advertising.